There is far too much excellent Mexican food and drink to only celebrate once a year… and that’s why we celebrate it around here 2-3x a week! 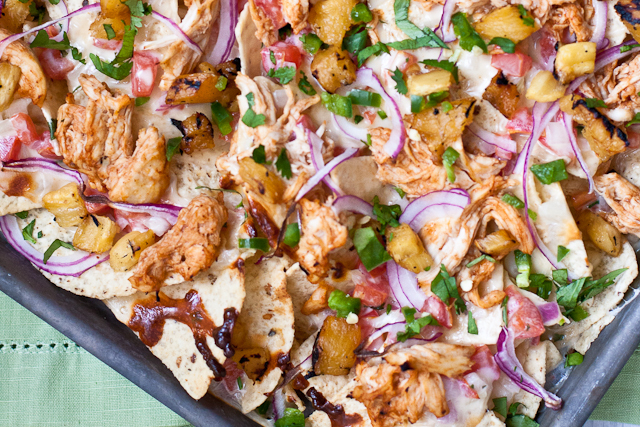 I’ve pulled together some of my very very very favorites for The Ultimate All-Day Cinco de Mayo. Why should mimosas get to have all the fun? 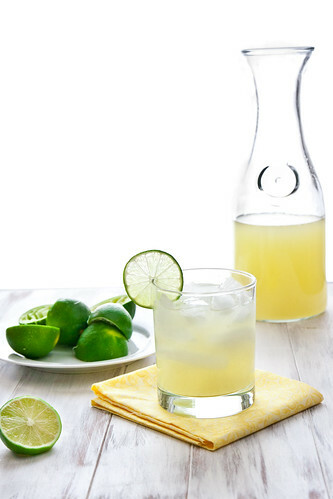 For the Ultimate Cinco Brunch (or be my hero – breakfast), whip up a batch of Tangerine Margaritas. Can’t find Tangerines? 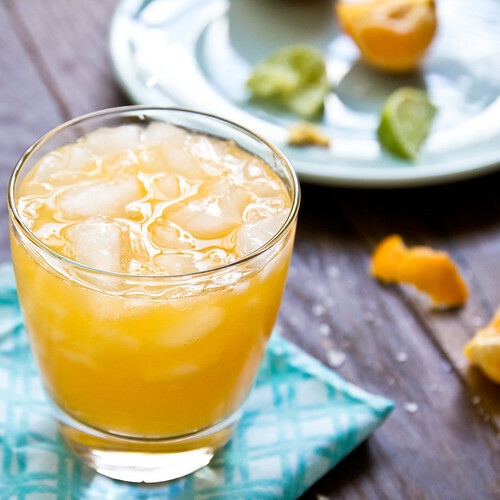 Whip up a batch of Orange Margaritas. 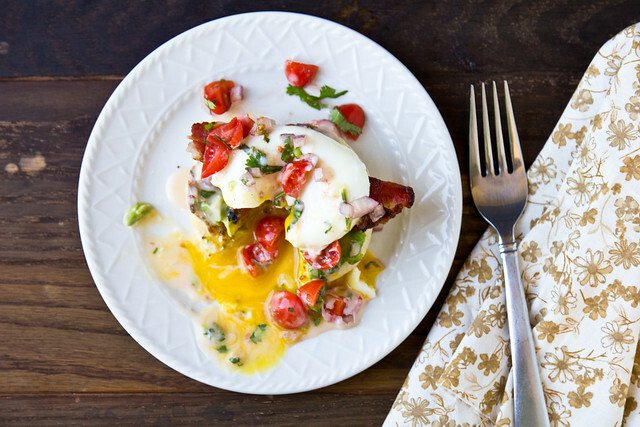 Eggs Benedict con Queso: Avocado or Guacamole topped with crispy bacon, an egg, a generous scoop of melty queso, and pico de gallo. 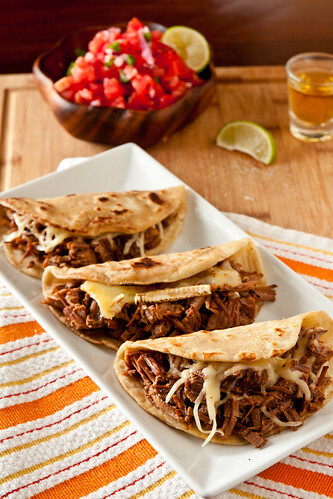 And let’s be real here: this is best eaten on SEIS de Mayo. 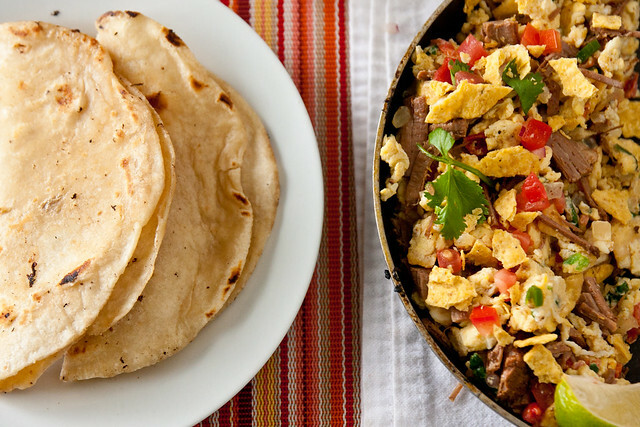 Homemade tortillas, leftover brisket, scrambled eggs, and tortillas. I present to you: Migas. An ode to one of my old favorite late-night stops gets a leaner and quicker makeover: Black & White Tacos. 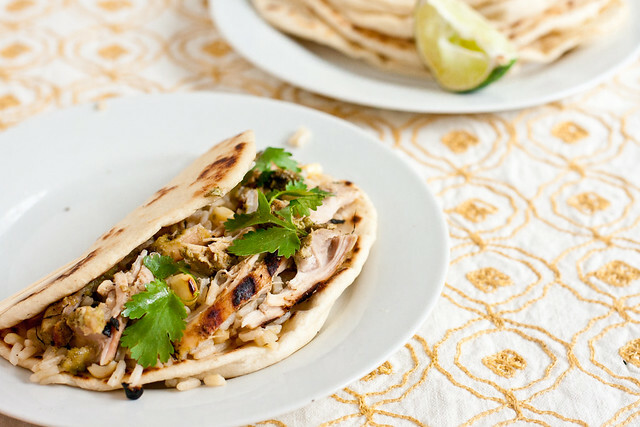 Boring chicken quesadillas? Not these. 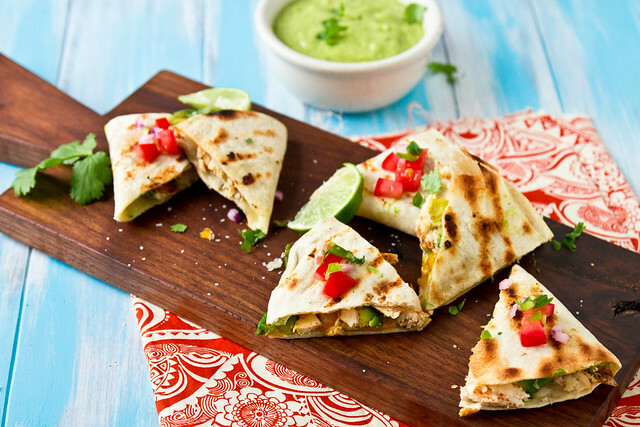 A smoky spice rub punches the ticket on these Grilled Chicken and Avocado Quesadillas. 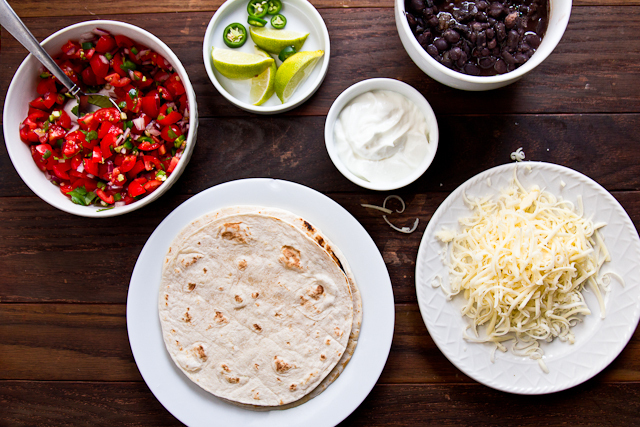 Just add margaritas. That spice rub we talked about? 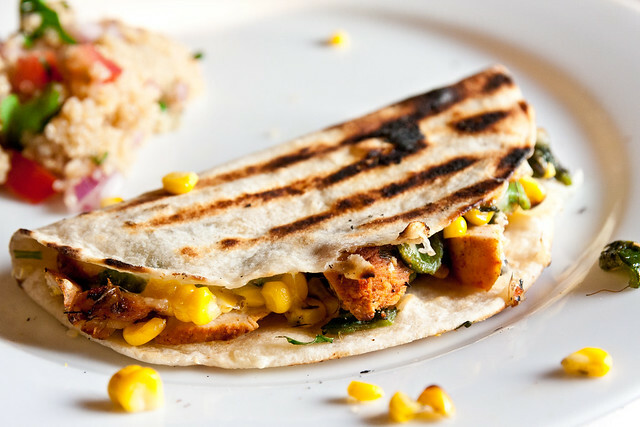 Use it once and you’ll use it everywhere, like I did in these Chicken, Roasted Poblano, and Corn Quesadillas. 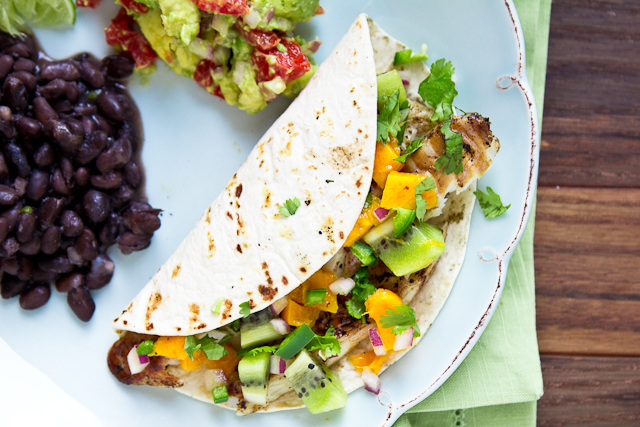 Three words: Tandoori Chicken Tacos. Two more words: Flippin’ amazing. 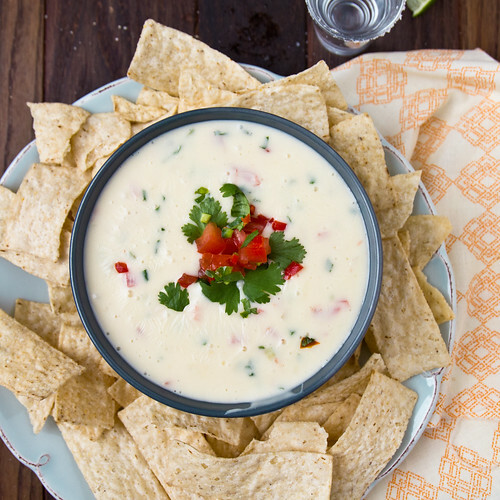 Since no Cinco menu is complete without chips, melted cheese, and tequila… Here’s your way to get all three in one cheesy bite: Queso Fundido al Tequila. Do you know Ninfa’s? The original started here in Houston, on Navigation (and if you’re in Houston, you gotta try it). 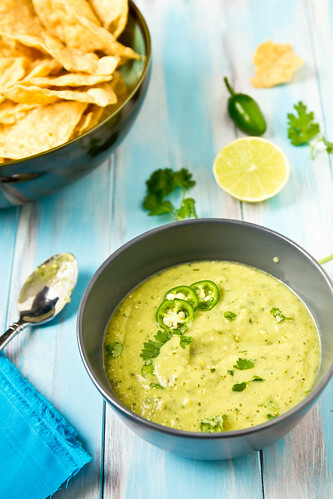 Their creamy green salsa is the stuff dreams are made of. 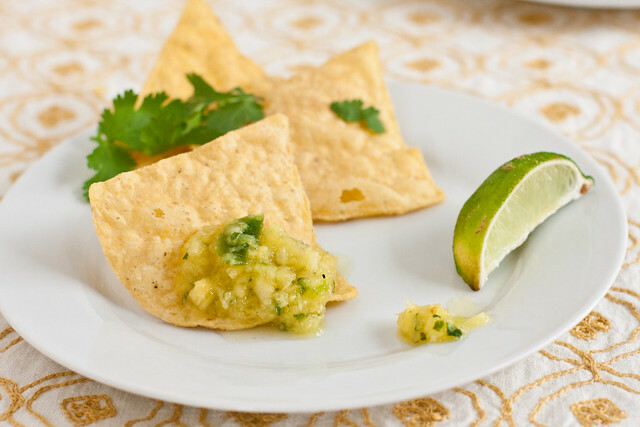 Guacamole really needs almost nothing to be amazing. 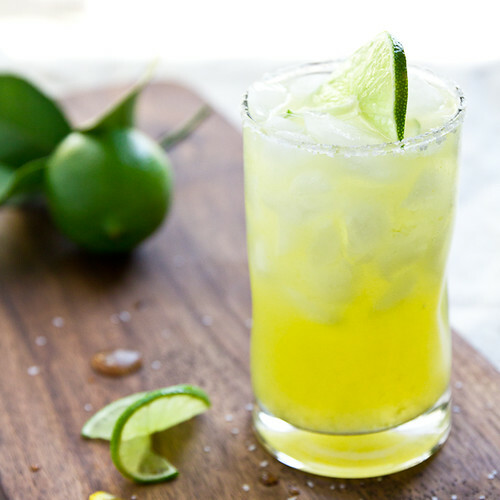 But you don’t have to stop and salt and lime – I sure don’t. My favorite Guacamole Bar additions include grilled pineapple, goat cheese, bacon, grilled corn, cilantro, pico de gallo, and lots of fresh jalapenos. 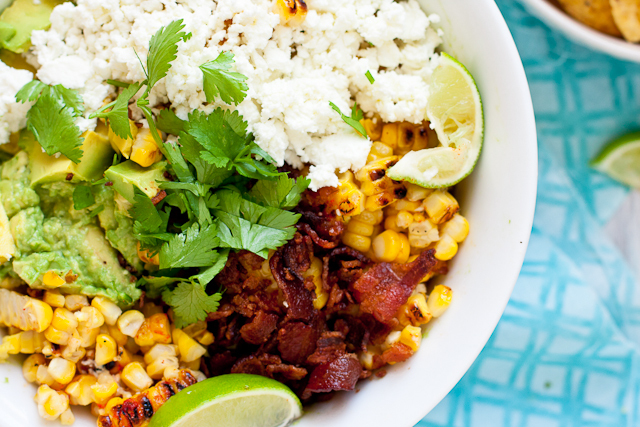 My ultimate bowl of guacamole combines Bacon, Goat Cheese, and Grilled Corn. 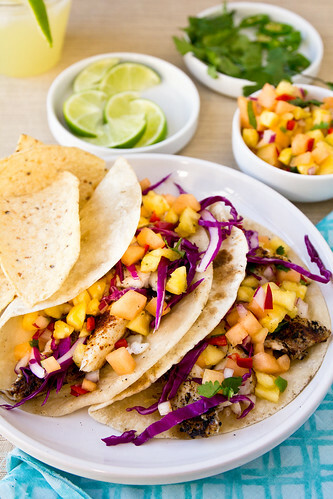 A friend, family, and personal favorite: Pineapple Salsa, styled after one of my old favorite restaurants. Only my favorites of my favorites… Hope you brought your stretchy-waisted pants. 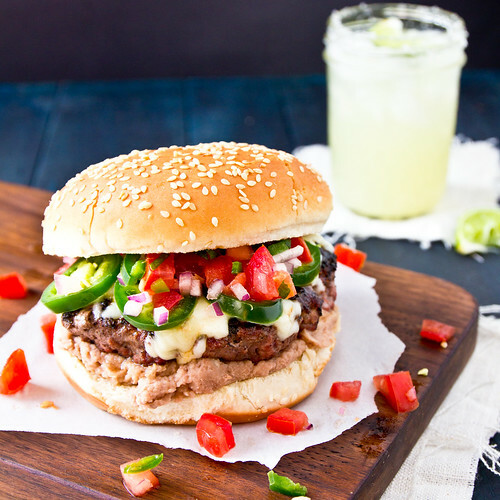 Refried beans on a hamburger? You betcha. We call it The Texican. 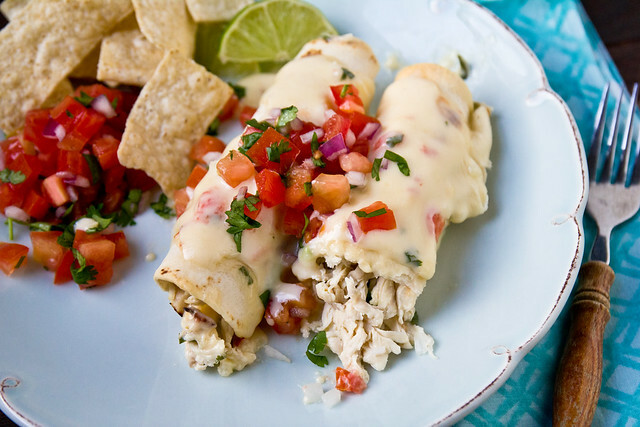 Chicken Enchiladas + Queso = Love. Ready to eat dinner with your hair on fire? 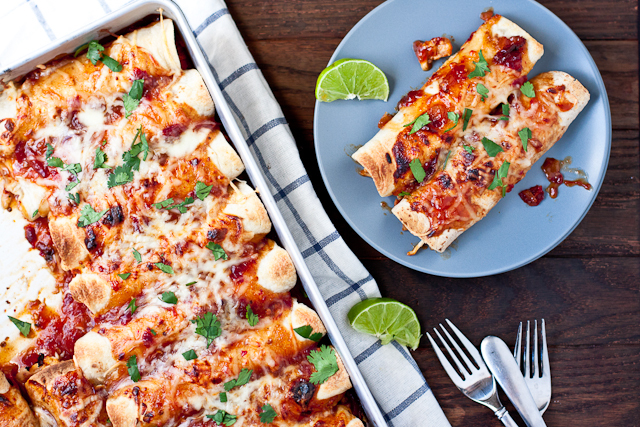 Make a batch of these Slow Cooker Honey Chipotle Enchiladas. Dessert: See Margarita Section Above. I’m trying to convince my mom to go to Ninfa’s tonight after work. However, travelling to Navigation during rush hour isn’t on my list of fun things to do. And great. Now I sit here sipping my protein shake wishing I was chowing down on some migas instead. sad face deluxe.